If you're planning on doing any acoustic treatment in your listening space (highly recommended if you want to get the best out of your hi-fi investment) then you're going to need some software to aid in the acoustic analysis. Room EQ Wizard (REW) is excellent, free software that runs on Linux, Windows and OS X. Whilst REW is free, you must be registered and logged in to the Home Theater Shack Forums to access downloads. So to make it work you then just add a mic and plug into the line in of your computer? Do you need a sound card that can play sounds and record at the same time? The user guide sets out all you need to know incl. hardware requirements etc. You're typically not going to want to use your PC's sound card if wanting an accurate view of the room's acoustic characteristics - most PC and laptop mic inputs are NOT suitable and should not be used (they have too much gain and most suffer from high noise levels and limited bandwidth). These values are defaulted into REW, but can easily change as you view different areas of the frequency response and must be set back to these axis for posting graphs. In the link above Ethan Winer gives a very basic but quick set up for REW. I have no experience with it but came across it while look for Mac specific audio software and figured it was worth adding here. Personally, I prefer anything that's native over Java. 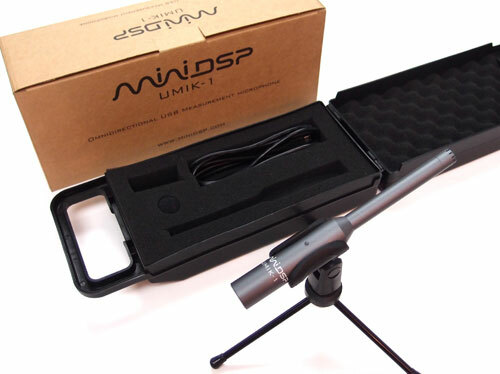 The folks at MiniDSP who are sponsors of REW have a USB measuring microphone, the UMIK-1 for $75 plus shipping etc., - plug & play - also automatically prompts to load the custom calibration file in the latest REW. New stock due end of January but you can pre-order. Means you don't need a sound card for mic input (or phantom power) and if you're using HDMI or dac output output to test your setup. 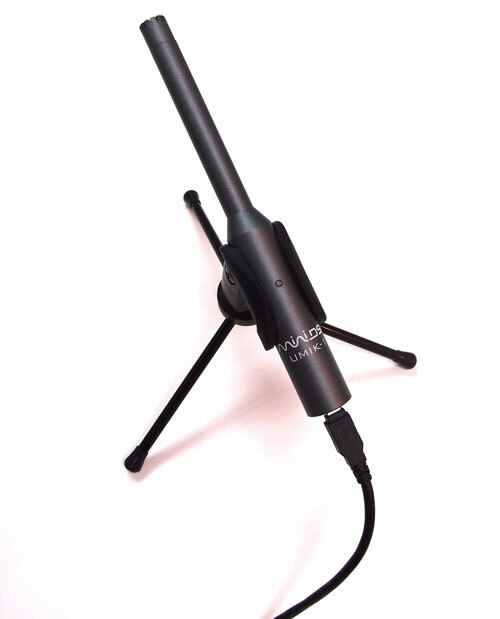 "The UMIK-1 is an omni-directional USB measurement microphone providing Plug & Play acoustic measurement. From speaker & room acoustic measurement to recording, this microphone provides low noise and accurate results you can rely on. Forget about driver installation, OS compatibility and un-calibrated mics. The Umik-1 is a USB Audio class 1 device automatically recognized by all Operating Systems (Windows/Mac/Linux). It is provided with a unique calibration file based on the serial number. The UMIK-1 is a perfect fit for all audio acoustic measurement software." I might just decide to get me one of those. Currently got a Dayton UMM-6 mic, calibrated by Cross-Spectrum, as well as a Galaxy CM-140 SPL meter (also calibrated by Cross-Spectrum). Not requiring phantom power/external sound card is a big deal to me. Measurements so far indicate same or similar accuracy to a calibrated UMM-6/ECM-8000 which is icing on the cake. XTZ is a little too basic for my needs. Their Pro 2 unit which is their top spec has, if I'm not mistaken, 1/12 octave resolution for measuring the low bass response. In my experience this is far too course a resolution to be of any real value, especially when applying parametric EQ filters. REW is far more complete, offers far greater accuracy and is just more powerful in terms of what you can do with it. For the casual guy looking to measure his frequency response, look at before and after results, and the odd waterfall chart, it's fine. Although if I wanted an all-in-one type solution I would rather choose Omnimic over XTZ, but it really depends on your goals and what you intend to do with the software. REW is one of the most comprehensive acoustic software tools available, in my opinion.